Fool’s Gold co-founder Nick Catchdubs has spent years pulling double duty, helming one of the world’s most beloved indie labels by day while holding it down behind the turntables at shows around the globe night after night. 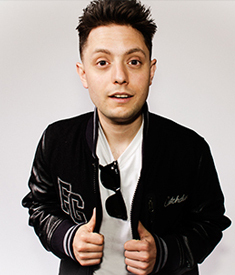 Hailed as “one of the US’s premiere party DJs” by FACT Magazine and a DJing “Mr Do It All” by XXL, Nick’s wildly diverse sets have launched hands into the air everywhere from Lollapalooza and Electric Daisy Carnival to GQ’s invite-only Super Bowl bash. Since launching Fool’s Gold with his friend A-Trak, Nick has introduced artists like Danny Brown and Duck Sauce to the world and been hailed as an “indie innovator” in the process by Billboard and the New York Times.